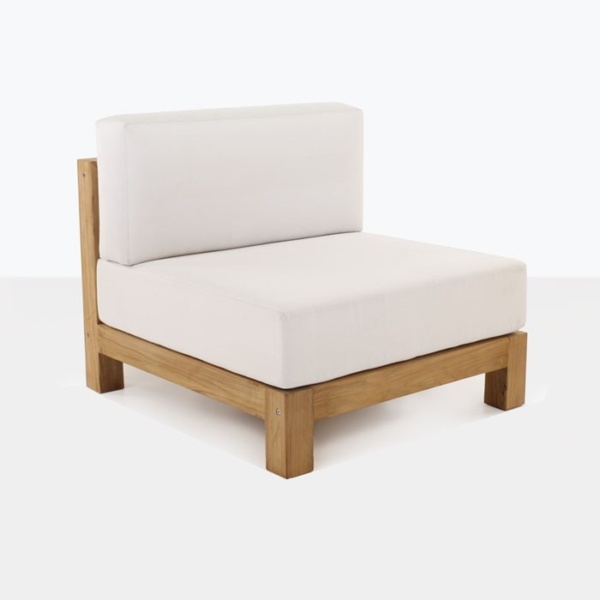 Create a bold sectional sofa that has a wow factor with the a-grade teak Ibiza center chair. This outdoor center chair without arms allows you to extend your seating collection as long as you like for a dramatic and stunning outdoor space. 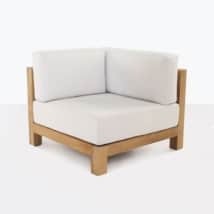 Simply place them next to each other and add a left or right armchair to finish off the look. 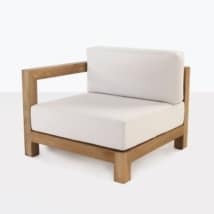 But, don’t forget, this chair also looks stunning and is made to stand-alone. This will give a very light and open look to your outdoor space. 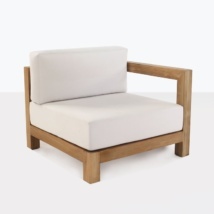 The Ibiza sectional center chair has as simple design that allows the pure beauty of a-grade teak to shine. 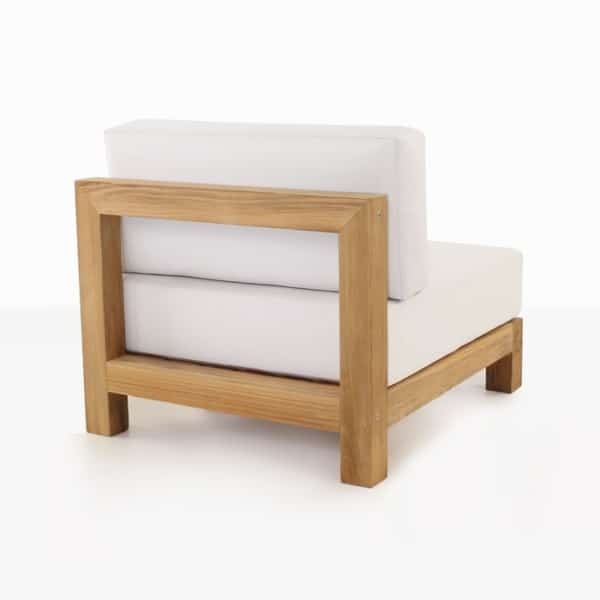 The straight lines and substantial thickness of the arms and legs create a very sophisticated and pulled together look. 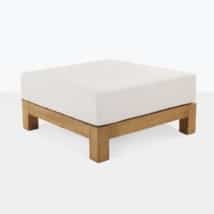 The Sunbrella cushions are included as shown! These cushions are created extra thick and plush for a very welcoming and cozy look. 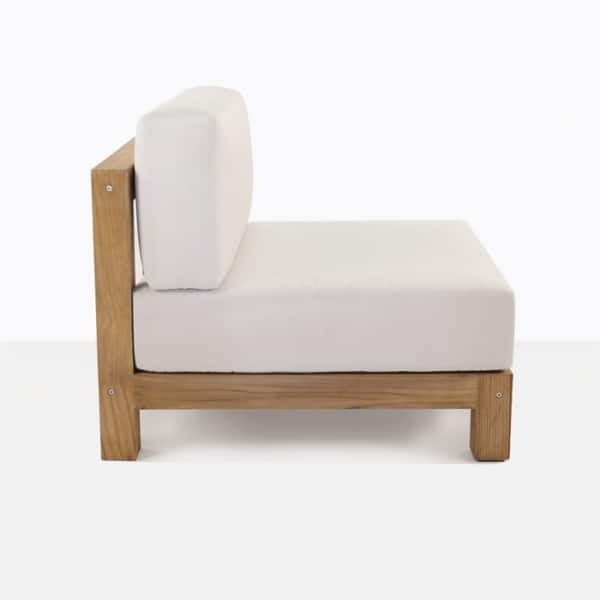 W31.9" x D35.8" x H29.5"
This Ibiza center chair is a great choice for outdoor seating. 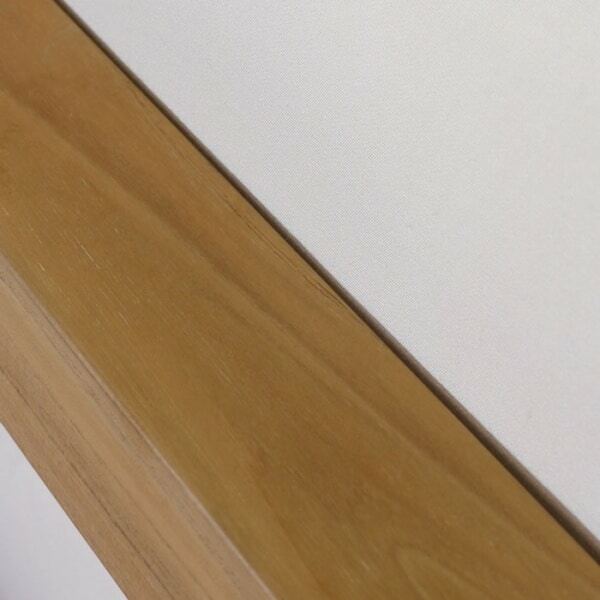 You can rest assured because we only use the highest quality a-grade teak and the very best construction. If you have any questions about how to create your outdoor space using the Ibiza center chair, then please email or call us today, we are open 7 days a week and look forward to helping you.